■Easy dissection of the interhemispheric fissure for treatment of the anterior communicating artery aneurysm by the pterional approach. Kashimura H, Kubo Y, Ogasawara K, Kakino S, Yoshida K, Ogawa A. World Neurosurg. 2010 Jun;73(6):688-90. ■Cognitive function and anxiety before and after surgery for asymptomatic unruptured intracranial aneurysms in elderly patients. Kubo Y, Ogasawara K, Kashimura H, Otawara Y, Kakino S, Sugawara A, Ogawa A. World Neurosurg. 2010 Apr;73(4):350-3. ■Clinical and angiographic long-term outcomes of vertebral artery-subclavian artery transposition to treat symptomatic stenosis of vertebral artery origin. Kakino S, Ogasawara K, Kubo Y, Kashimura H, Konno H, Sugawara A, Kobayashi M, Sasaki M, Ogawa A.J Neurosurg. 2009 May;110(5):943-7. ■Subtemporal approach to basilar tip aneurysm with division of posterior communicating artery: technical note. Kakino S, Ogasawara K, Kubo Y, Nishimoto H, Ogawa A.　Vasc Health Risk Manag. 2008;4(4):931-5. ■Rupture of a concomitant unruptured cerebral aneurysm within 2 weeks of surgical repair of a ruptured cerebral aneurysm–case report. Sato Y, Kakino S, Ogasawara K, Kubo Y, Kuroda H, Ogawa A.Neurol Med Chir (Tokyo). 2008;48(11):512-4..
■Ruptured cerebral fusiform aneurysm with mucopolysaccharide deposits in the tunica media in a patient with Marfan syndrome. Kubo Y, Ogasawara K, Kurose A, Kakino S, Tomitsuka N, Ogawa A.J Neurosurg. 2009 Mar;110(3):518-20. ■Exposure of the vertebrobasilar artery junction with traction of the dentate ligament for the treatment of large vertebral artery aneurysms: technical note. Kashimura H, Ogasawara K, Kubo Y, Kakino S, Yoshida K, Sasoh M, Takahashi H, Suzuki K, Ogawa A.J Neurosurg. 2008 Jun;108(6):1249-52. ■Serum inflammatory adhesion molecules and high-sensitivity C-reactive protein correlates with delayed ischemic neurologic deficits after subarachnoid hemorrhage. Kubo Y, Ogasawara K, Kakino S, Kashimura H, Tomitsuka N, Sugawara A, Ogawa A.Surg Neurol. 2008 Jun;69(6):592-6; discussion 596..
■Brain retraction technique using gelatin sponge in the subtemporal approach. Kashimura H, Ogasawara K, Kubo Y, Kakino S, Sasoh M, Takahashi H, Suzuki K, Ogawa A. Neurol Med Chir (Tokyo). 2008 Mar;48(3):143-6. ■Symptomatic occlusion at the origin of the vertebral artery treated using external carotid artery-cervical vertebral artery bypass with interposed saphenous vein graft. Kakino S, Ogasawara K, Kubo Y, Kobayashi M, Kashimura H, Ogawa A.Surg Neurol. 2008 Feb;69(2):164-8; discussion 168. ■Cerebrospinal fluid adrenomedullin concentration correlates with hyponatremia and delayed ischemic neurological deficits after subarachnoid hemorrhage. Kubo Y, Ogasawara K, Kakino S, Kashimura H, Yoshida K, Ogawa A.　Cerebrovasc Dis. 2008;25(1-2):164-9. Epub 2008 Jan 23. ■Spontaneous pial single-channel arteriovenous fistulae with angiographically occult small feeding arteries: case report. 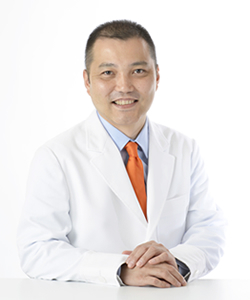 Kakino S, Ogasawara K, Kubo Y, Ogawa A.　Surg Neurol. 2008 Feb;69(2):187-90; discussion 191. Epub 2007 Jun 21. ■Revascularization and parent artery occlusion for giant internal carotid artery aneurysms in the intracavernous portion using intraoperative monitoring of cerebral hemodynamics. Kubo Y, Ogasawara K, Tomitsuka N, Otawara Y, Kakino S, Ogawa A.Neurosurgery. 2006 Jan;58(1):43-50; discussion 43-50..
■Vascular reconstruction using interposition of saphenous vein graft for symptomatic stenosis at the extradural-intradural junction of the vertebral artery. Case report. 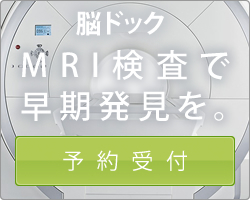 Kakino S, Ogasawara K, Konno H, Suzuki M, Ogawa A.　Surg Neurol. 2005 Apr;63(4):385-8..
■Treatment of vertebral artery aneurysms with posterior inferior cerebellar artery-posterior inferior cerebellar artery anastomosis combined with parent artery occlusion. Kakino S, Ogasawara K, Kubo Y, Otawara Y, Tomizuka N, Suzuki M, Ogawa A.Surg Neurol. 2004 Feb;61(2):185-9; discussion 189..
■[Perforation of the bladder by a peritoneal catheter: an unusual late complication of ventriculo-peritoneal shunt]. Ueda Y, Kakino S, Hashimoto O, Imoto K.No Shinkei Geka. 1998 May;26(5):413-6. Japanese. .
■Intracellular localization of cyclin B1 during the cell cycle in glioma cells. Kakino S, Sasaki K, Kurose A, Ito H.Cytometry. 1996 May 1;24(1):49-54. 21..
■Detection of structural aberrations of chromosome 17 in malignant gliomas by fluorescence in situ hybridization (FISH). Kwak T, Nishizaki T, Nakayama H, Kakino S, Ito H, Kimura Y.Acta Oncol. 1995;34(1):27-30. Copyright (C) かきの脳神経外科・内科クリニック. All Rights Reserved.